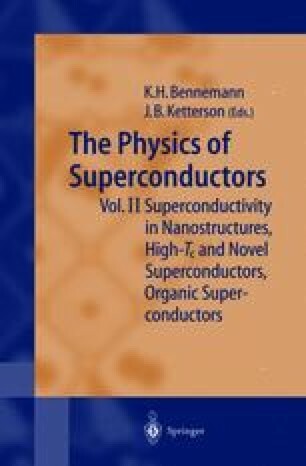 Although the physics of normal metals (N) in close proximity to superconductors (S) has been studied extensively for more than thirty years, it is only in the past decade that experiments have been able to probe directly the region close to the NS interface at temperatures far below the transition temperature T c of the superconductor. These experiments have been made possible by the availability of microlithography techniques that enable the fabrication of heterostructure devices with submicron scale features. This size scale is comparable to the relevant physical length scales of the problem, and consequently, a number of new effects have been observed. A variety of systems have been studied, the variation primarily being in the type of normal metal coupled to the superconductor. Canonical normal metals such as copper and gold, semiconductors, insulators, and ferromagnets have been employed. Although a variety of theoretical techniques have been used to describe proximity-coupled systems, the quasiclassical theory of superconductivity – has proved to be a remarkably powerful tool in understanding the microscopic basis for the remarkable effects observed in these systems.